Pellet Stoves are our passion. Since 2005 we have been gaining the knowledge and experience that is necessary to provide you with the highest level of service. We are authorized Ravelli agents: leaders in pellet stove technology and design. The Italians know a thing or two when it comes to design. Ravelli produce wood pellet stoves and wood pellet boilers to bring you the best in European designs and over 95% energy efficiency. 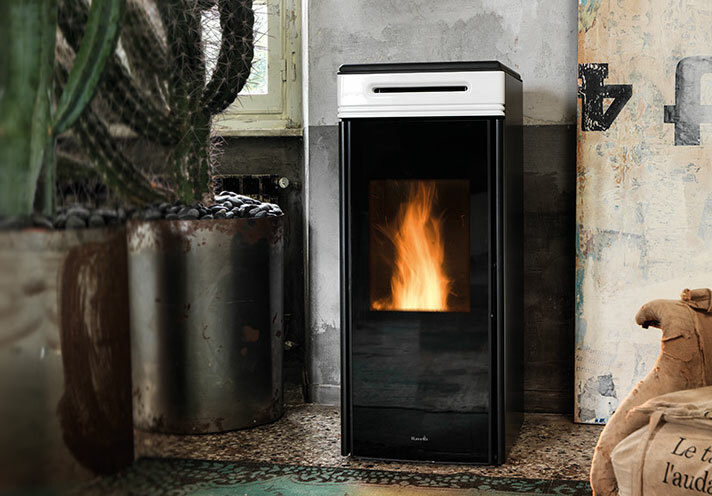 Based in Brescia (Italy), Ravelli have established themselves as one of Europe's leaders in the design and production of wood pellet stoves. Every phase of manufacturing is performed on site to guarantee constant quality control. Our specially-designed Ravelli Dynamic System (RDS) regulates all the combustion stages for optimal efficiency. This means you get top performance as well as the benefit of an easy-to-use stove, burning eco-friendly wood pellets. The Ravelli Hermetic System (RHS) is a range of sealed pellet stoves designed for new airtight homes: the combustion air is taken from outside, this means the stove does not take the air away from the room. Wood pellet stoves with natural convection and radiant heat, maximum comfort and exceptional quietness. 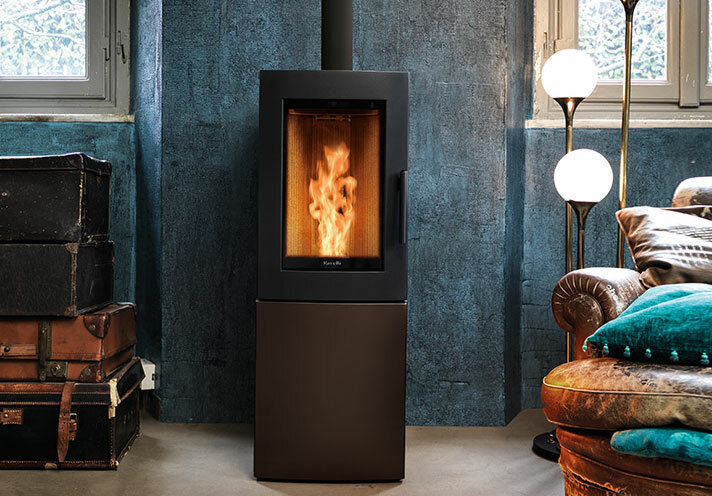 Ravelli natural convection wood pellet stoves are modern interpretations of this ancient and natural method of heating. Natural convection is caused by temperature difference, creating air movement, giving a more uniform temperature throughout your home. Ducted wood pellet stoves can be connected to insulated pipes that transfer the heated air to rooms above or adjacent to the stove, enabling the pellet stove to circulate the warmth more widely throughout. You can choose manual or automatic adjustment to manage the temperature of the heated areas. Share the warmth of a stylish pellet stove for even more comfort in throughout your home. 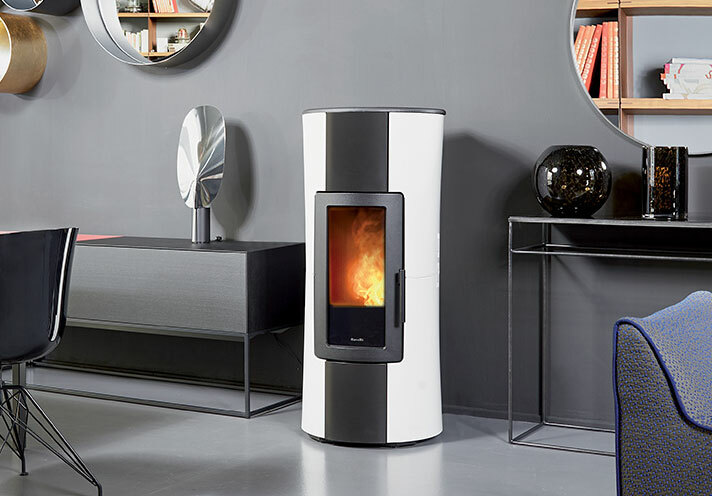 Inset wood pellet stoves from Ravelli are designed for you to enjoy and experience the style of a modern fireplace with superb energy efficiency. You’ll be mesmerised by the flames viewed through the wide glass door and with minimum heat loss up the chimney. It’s a fireplace with functionality as well as good looks. 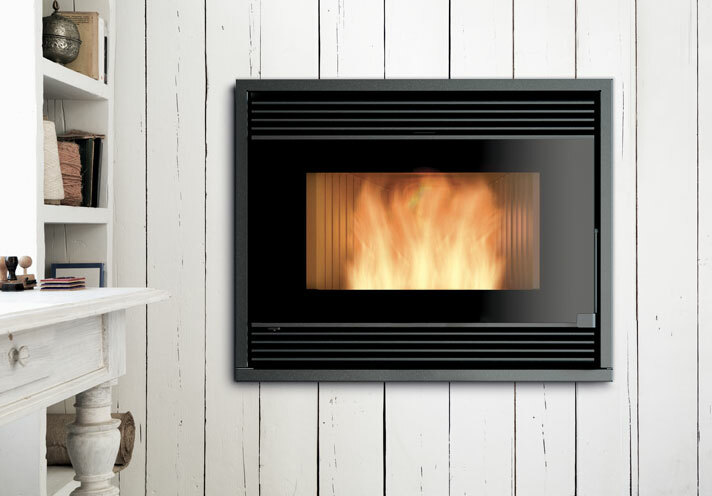 Wood pellet boiler stoves from Ravelli combine the pleasure of a wood fire with an efficient central heating boiler. These can be integrated into your existing central heating and domestic hot water system, saving you money and disruption. Have it both ways – a living flame as a focal point, and efficient heating for the home. Your home has never been so digital! Ravelli believes that innovation represents an indispensable opportunity for the development of their wood pellet heating systems.